Valve released the last video in their “Meet this Character” video series and the final video blows the series out with a bang. “Meet the Pyro” is both the hilariously fun and scary demented. (Kind of makes you wondering what Valve is trying to tell its fans.) I won’t spoil too much, because honestly, the video is worth watching a dozen times, but the premise of it is that the Pyro actually thinks he is helping everyone… Oh, yeah, there may be lollipops and unicorns in there somewhere too. Just watch the video! Valve also announced that it would be releasing a Source Filmmaker for free this year on Steam. 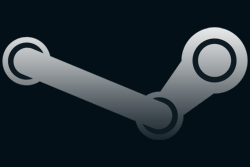 This software suite will allow anyone to create the same sort of videos that Valve has been making with their games. Looking forward to seeing what kind of videos the community makes with Portal 2 and Half-Life. The video below is a demonstration/info on the software.